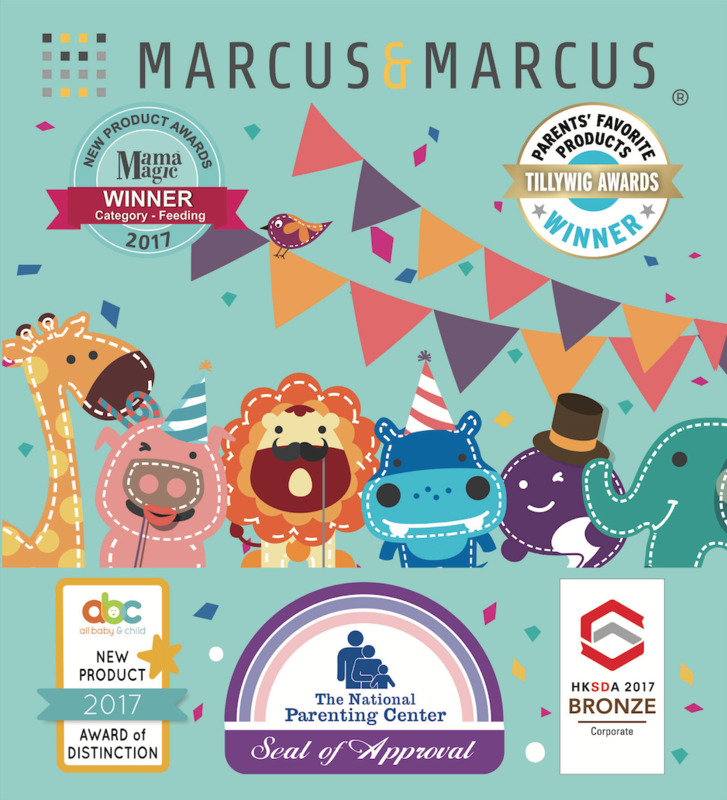 Award-winning international brand, Marcus and Marcus is a functional lifestyle brand for adults, toddlers and babies. We create simple yet effective products for mealtime, bath time and beyond. All our products are ergonomic, practical and easy to use with a focus on design and quality. Developed by two parents, Marcus & Marcus is inspired by contemporary lifestyle. The bright, engaging colours and magical characters keep your child captivated and engaged, making our products an interactive must-have baby item. Committed to product safety and quality, we work together to ensure our products meet a high design standard and exceed safety requirements. Our mission is to create fun, safe, innovative and sustainable products that will contribute to your child’s wellbeing. Our products are made of soft, food-grade silicone which means they are microwave-dishwasher-freezer safe and can withstand temperatures between -20°C to 260°C. They are also BPA-free, phthalate-free and PVC-free and will not corrode, deteriorate or leach chemicals. The team at Marcus & Marcus understand what it means to be a modern day parent. Stress and chaos come with parenting, but there is also absolute joy and reward in watching your child grow. While your children are learning, growing and creating, Marcus & Marcus will help you take on the challenges of parenting and simplify everyday chaos through our innovative products. Hop on over to our online store to view all our products! Tada Baby Inc (Pty) Ltd is the sole distributor of Marcus and Marcus products in South Africa.